Professor Kiernan obtained his Ph.D. from Monash University, Australia, in 1983. He is the author of Blood and Soil: A World History of Genocide and Extermination from Sparta to Darfur (2007), which won the 2008 gold medal for the best work of history awarded by the Independent Publishers association, and the U.S. German Studies Association’s 2009 Sybil Halpern Milton Memorial Book Prize for the best book published in 2007-2008 dealing with Nazi Germany and the Holocaust in its broadest context, covering the fields of history, political science, and other social sciences, literature, art, and photography. In June 2009, the book’s German translation, Erde und Blut: Völkermord und Vernichtung von der Antike bis heute, won first place in Germany’s Nonfiction Book of the Month Prize Die Sachbücher des Monats, sponsored by Süddeutsche Zeitung and NDR Kultur. Kiernan’s work is featured in Fifty Key Thinkers on the Holocaust and Genocide (2011) and in Southeast Asia: Essential Readings (2006, 2013). His other awards include the Critical Asian Studies Prize for 2002, and an Honourable Mention in the “One of a Kind” category of the Canadian National Magazine Awards, for his 2006 co-authored article “Bombs over Cambodia.” Kiernan was also the recipient of the 2018 Inspiring Yale Award for the Yale School of Graduate Studies – Humanities, “for being an inspiration to the Yale University student body in and out of the class room.” Graduate students in the Humanities selected him for the award, presented at the 4th annual Inspiring Yale event on April 11, 2018. Kiernan was the subject of a full-page feature article in the “Ideas” section of the Paris daily Le Monde, published on September 1, 2018, under the heading, “Le Cambodge dans la peau” (Cambodia under his skin). His most recent book is Việt Nam: A History from Earliest Times to the Present (2017), which was selected for “Review of the Month” in the Australian Book Review in June-July of 2017. Foreign Affairs described the book as “pathbreaking not only in its chronological scope (from prehistory to the present) and the breadth of its sources but also in its thematic reach.” London’s Times Literary Supplement called it “excellent… Kiernan’s dispassionate recording of the behaviour of the regional powers – Champa, Cambodia, China, India – should help to make Vietnam: A history from earliest times a durable work” (March 7, 2018). Kiernan is also the author of How Pol Pot Came to Power: Colonialism, Nationalism, and Communism in Cambodia, 1930-1975 (1985, 2004), which was Asiaweek “Editor’s Pick of the Month”; Cambodia: The Eastern Zone Massacres (1986); The Pol Pot Regime: Race, Power and Genocide in Cambodia under the Khmer Rouge, 1975-1979 (1996, 2002, 2008); Le Génocide au Cambodge, 1975-1979: Race, idéologie, et pouvoir (1998); and Genocide and Resistance in Southeast Asia: Documentation, Denial and Justice in Cambodia and East Timor (2007). He is the co-author of Khmers Rouges ! Matériaux pour l’histoire du communisme au Cambodge (1981), Peasants and Politics in Kampuchea, 1942-1981 (1982), and Cambodge: Histoire et enjeux (1986), and has published numerous articles on Southeast Asia and the history of genocide. He is a member of the editorial boards of Critical Asian Studies, Human Rights Review, and Zeitschrift für Genozidforschung, and is a Research Affiliate of the Human Rights Institute at the University of Connecticut. He was founding Director of the Cambodian Genocide Program (1994-99; 2001-present) and Convenor of the Yale East Timor Project (2000-02). Kiernan’s edited collection Conflict and Change in Cambodia, which won the 2002 Critical Asian Studies Prize, was republished as a book in 2006. He is also the editor of Genocide and Democracy in Cambodia: The Khmer Rouge, the United Nations, and the International Community (1993), and Burchett: Reporting the Other Side of the World, 1939-1983 (1986), and co-editor of Revolution and Its Aftermath in Kampuchea (1983), Pol Pot Plans the Future: Confidential Leadership Documents from Democratic Kampuchea, 1976-1977 (1988), and The Specter of Genocide: Mass Murder in Historical Perspective (2003). In 1979, Kiernan completed his first paper on the subject of the Cambodian genocide, “Pol Pot and Kampuchea’s Eastern Zone: A Final Solution ?,” published in the Netherlands in 1980 as “Genocide in the Eastern Zone” (“Genocide in de Oostelijke Zone,” Vietnam Bulletin No. 16, June 25, 1980, pp. 20-22). During the 1980s he wrote further studies of Khmer Rouge crimes in Cambodia, including “Bureaucracy of Death: Documents from Inside Pol Pot’s Torture Machine,” New Statesman (London), May 2, 1980, pp. 669-676 (with C. Boua and A. Barnett); “Wild Chickens, Farm Chickens, and Cormorants: Kampuchea’s Eastern Zone under Pol Pot,” in Revolution and Its Aftermath in Kampuchea, New Haven, 1983, pp. 136-211; “Kampuchea’s Ethnic Chinese Under Pol Pot: A Case of Systematic Social Discrimination,” Journal of Contemporary Asia 16:1, 1986, pp. 18-29; “Orphans of Genocide: The Cham Muslims of Kampuchea under Pol Pot,” Bulletin of Concerned Asian Scholars 20:4, 1988, pp. 2-33; “The Genocide in Cambodia, 1975-1979,” Bulletin of Concerned Asian Scholars 22:2, 1990, pp. 35-40; and “Genocidal Targeting: Two Groups of Victims in Pol Pot’s Cambodia,” in State Organized Terror: The Case of Violent Internal Repression, ed. P. T. Bushnell, et al., Boulder, Westview, 1991, pp. 207-226. The 2009 UN Demographic Expert Report to the Extraordinary Chambers in the Courts of Cambodia, on the death toll under the Khmer Rouge regime, which was prepared by the chief demographer in the Office of the Prosecutor at the United Nations International Criminal Tribunal for the former Yugoslavia in The Hague, described Kiernan’s estimates of excess deaths in the Khmer Rouge period as “methodologically sound and transparent,” and concurred with his estimates of both the minimum national-level death toll under the Khmer Rouge regime and the specific tolls among Cambodia’s minority Cham Muslims, ethnic Chinese, Thai, Lao, and Vietnamese. In 1990 Kiernan moved to Yale University from the University of Wollongong, Australia. As director of the Cambodian Genocide Program (CGP), Prof. Kiernan received approximately $2 million in grants to document the crimes of the Pol Pot regime, to establish the Documentation Center of Cambodia in Phnom Penh, and to recruit, fund, equip and train its Cambodian staff. Under his direction the CGP’s extensive multilingual website won multiple internet awards. 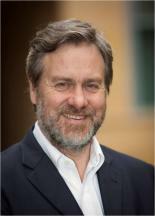 Prof. Kiernan has also received numerous other grants, honors, and fellowships, including a Harry Frank Guggenheim Foundation Research Award; a Professorial Fellowship at the University of Melbourne; the Australian Research Council’s national Federation Fellowship (declined); the Horace W. Goldsmith Fellowship at the National Humanities Center; the Inaugural S.T. Lee Visiting Fellowship, University of Sydney; a Camargo Foundation Fellowship in Cassis, France; a Visiting Fellowship at the Long Room Hub, Trinity College Dublin; the Jan Randa Visiting Fellowship at the Australian Centre for Jewish Civilisation, Monash University; an American Council of Learned Societies Fellowship; a Rockefeller Foundation Bellagio Fellowship; a Bogliasco Foundation Fellowship at the Liguria Study Center for the Arts and Humanities; a Fellowship at the Davis Center for Historical Studies, Princeton University; and the 2015 Distinguished Alumni Award from the Faculty of Arts, Monash University, Australia. He has been elected a Member of the Council of the Asian Studies Association of Australia (1988-90), of the Southeast Asia Council of the U.S. Association for Asian Studies (1993-96), and of the Advisory Council of the International Association of Genocide Scholars (2007-09). Ewing, Cindy. The Asian Unity Project: Human Rights, Third World Solidarity, and the United Nations, 1945-1955 (2018). Co-Winner of the Arthur and Mary Wright Prize for the best doctoral dissertation in non-Western History. Zakaria, Faizah. Sacral Ecologies of the North Sumatran Highlands: An Environmental History of Conversions, c.1800 to 1928 (2017). Co-Winner of the Arthur and Mary Wright Prize for the best doctoral dissertation in non-Western History. Lowey-Ball, ShawnaKim. Liquid Market, Solid State: The Rise and Demise of the Great Global Emporium at Malacca, 1400-1650 (2015). Winner of both the Arthur and Mary Wright Prize for the best doctoral dissertation in non-Western History, and the John Addison Porter Prize, open to all Yale students, for the best written work of scholarship in any field in which it is possible, through original effort, to gather and relate facts and/or principles and to make the product of general human interest. Ford, Eugene Brassel. Cold War Monks: An International History of Buddhism, Politics, and Regionalism in Thailand and Southeast Asia, 1940-1975 (2012). Co-Winner of the Arthur and Mary Wright Prize for the best doctoral dissertation in non-Western History. Cherry, Haydon Leslie. Down and Out in Saigon: A Social History of the Poor in a Colonial City, 1860-1940 (2011). Co-Winner of the Arthur and Mary Wright Prize for the best doctoral dissertation in non-Western History. Madley, Benjamin Logan. American Genocide: The California Indian Catastrophe, 1846-1873 (2009, co-directed with John Mack Faragher). Winner of the Frederick W. Beinecke Prize for an outstanding doctoral dissertation in the field of Western American history, and the 2010 Phi Alpha Theta-Westerners International Prize for the best 2009 dissertation in Western history. Madley has published a multi-award-winning revised and updated version, An American Genocide: The United States and the California Indian Catastrophe, 1846-1873 (Yale University Press, 2016). Keith, Charles Patrick. Catholic Vietnam: Church, Colonialism and Revolution, 1887-1945 (2008, co-directed with John Merriman). Charles Keith’s 2012 book, Catholic Vietnam: A Church from Empire to Nation, won the 2015 Harry J. Benda Prize for “outstanding contributions to the field of knowledge about Southeast Asia,” awarded by the Southeast Asia Council of the U.S. Association for Asian Studies. Tagliocozzo, Eric. Secret Trades of the Straits: Smuggling and State-Formation along a Southeast Asian Frontier, 1870-1910 (1999). Eric Tagliacozzo’s 2005 book, Secret Trades, Porous Borders: Smuggling and States along a Southeast Asian Frontier, 1865-1915, won the 2007 Harry J. Benda Prize for “outstanding contributions to the field of knowledge about Southeast Asia,” awarded by the Southeast Asia Council of the U.S. Association for Asian Studies. Fineman, Daniel Mark. The United States and Military Government in Thailand, 1947-1958 (1993). Daniel Fineman’s book, A Special Relationship: The United States and Military Government in Thailand, 1947-1958, was published by the University of Hawai’i Press (Honolulu, 1997).